At its most northern point, China is hundreds of miles from the Arctic Circle, but its leaders want a say in how the region is governed. Recently, the country issued its first national policy on the Arctic, and it reveals its expansive ambitions in the far North. 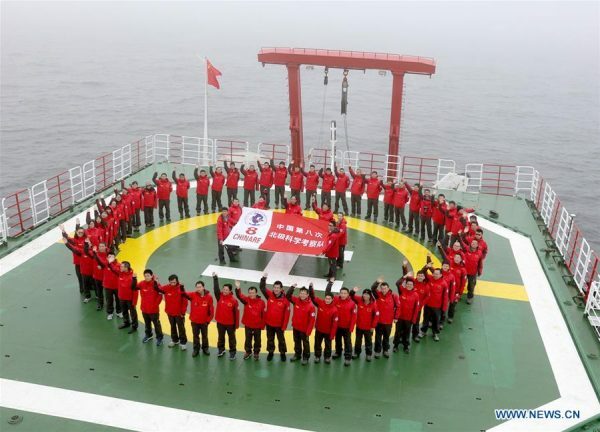 The policy says China will cooperate with others on development in the region, including new shipping routes it calls a “Polar Silk Road,” after the ancient trade routes connecting China to Europe. This is the first white paper China has ever issued for a region outside its own territory, said University of Canterbury (New Zealand) Professor Anne-Marie Brady. She said the document demonstrates the country’s growing assertiveness in global affairs. “China is stepping into the power vacuum of global leadership since the Trump administration came to power, and it’s preparing to shape the new world order,” Brady said Tuesday, at a forum organized by the Wilson Center, a Washington, D.C. think tank. Kissinger Institute Director Robert Daly said it’s natural for China to play a major role in the Arctic, particularly when it comes to science, trade and financing. But he said the big question is how other countries are going to react. Daly said the Chinese policy repeats certain phrases, like “the shared future of mankind,” to portray itself as a benevolent force, interested only in economic globalization. Belt and Road is the banner for how China hopes to increase its influence around the world. It’s a global development policy Chinese President Xi Jinping announced in 2013. Daly said extending that China-centric policy to the Arctic isn’t a good idea. China’s interest in the region has grown over the past decade. It has had observer status at the Arctic Council since 2013. The country has one polar icebreaker and is building a second. And it’s a major investor in Russia’s Yamal liquefied natural gas facility.